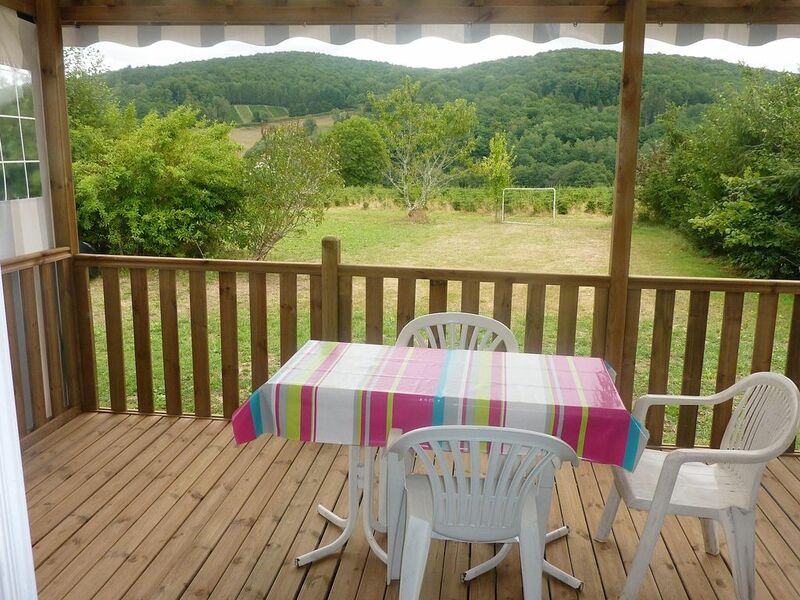 quiet to enjoy the beautiful nature offered by the Morvan. Composed of two bedrooms, one with a double bed and the other with 2 single beds (recent bedding). A shower room, lounge with benches, TV, dining table, kitchenette and 1 toilet. Beautiful wooden terrace with table and chairs. A barbecue. Wifi available in the garden and 3G depending operator. Possibility of additional beds or installation of your tent, consult us at 06 07 57 98 14. Clean & tidy property. Super little pool, 1 minute away on foot, which we used a lot! Very pretty region with lots of stone-built houses. Don't forget to take bed sheets! le ménage doit être fait pour le départ ou sera dans le cas contraire facturé 50 €.